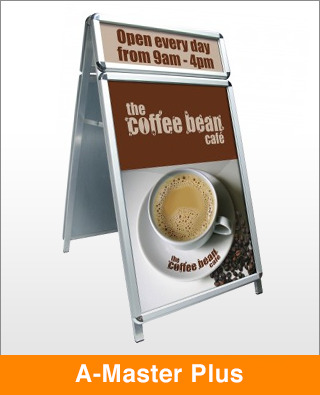 Double Sided A1 poster display with additional snapframe header. Front opening aluminium snapframes with round corners for safety (32mm profile, silver anodised finish). Supplied with 2 full colour, high quality encapsulated posters and header.